Rockstar Games is releasing the Myths and Mavericks Bonus Pack DLC for Red Dead Redemption to their fans today for free. The DLC is available for download on Xbox LIVE and Playstation Network and is Rockstar’s lovely way of thanking fans for their loyalty to the title. 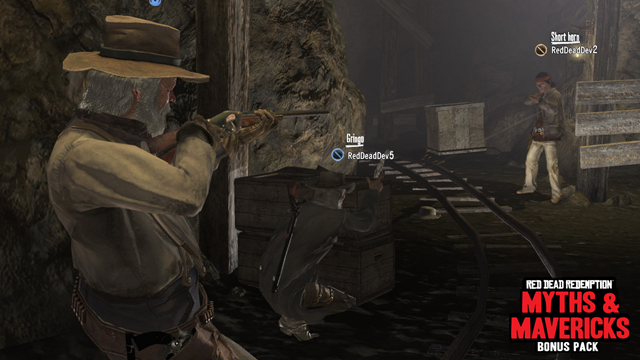 Red Dead Redemption has seen enormous success in the year that the title has been released. 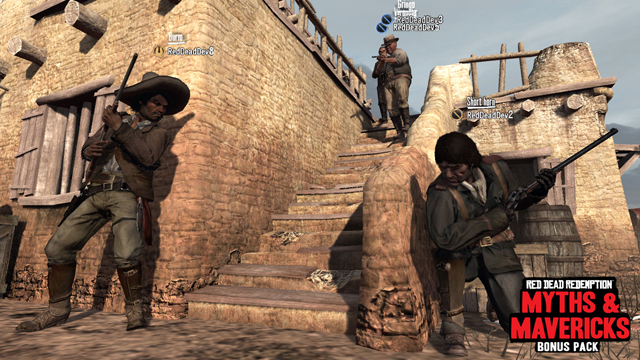 Gamers have enjoyed many adventures with John Marston in the original title as well as previous DLC, including Undead Nightmare. Fans have enjoyed countless hours exploring the Wild West as a former outlaw who is working for the government in order to be reunited with his family. 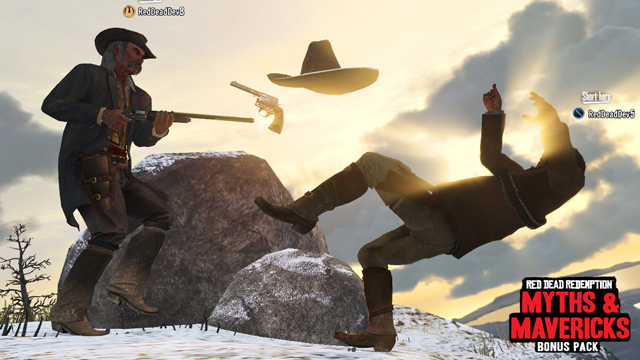 The incredible story line and game play have made this title a fan favourite, which is why Rockstar Games is showing fans their appreciation. *updated multiplayer features only, locations are not new.